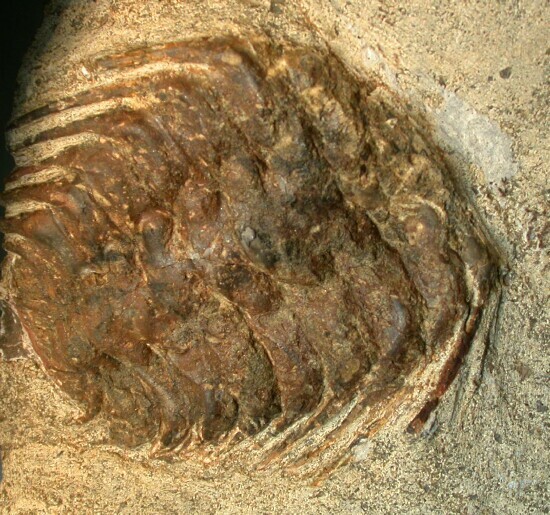 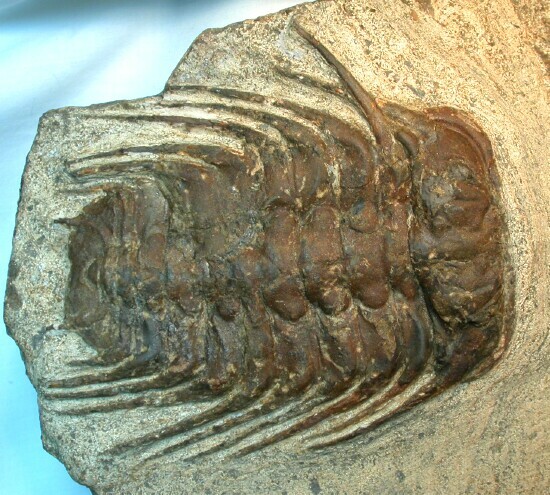 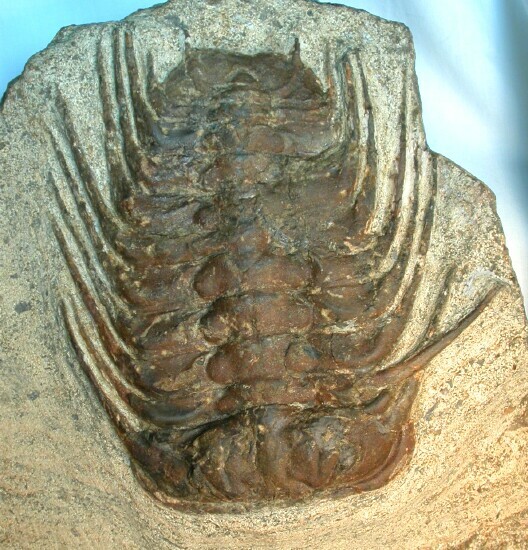 Here is one of the largest trilobites of the Order Lichida, Family Odontopleuridae, known as Selenopeltis buchii. This particular genus derives its name from the dramatic pleural spines. 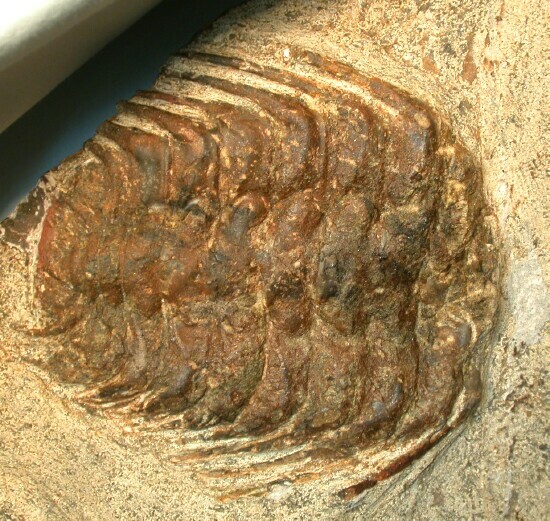 There are three specimens of this unusual trilobite present. 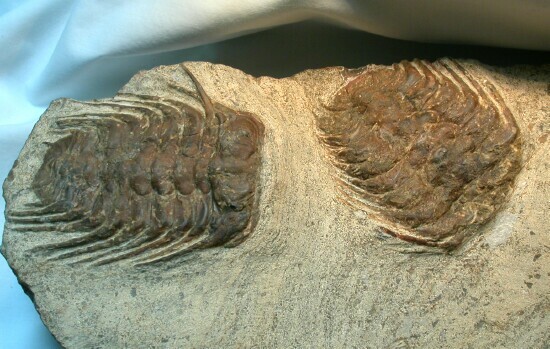 Such a massive (20 + kilos) specimen is difficult to remove intact. 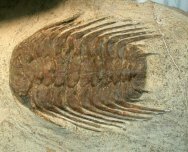 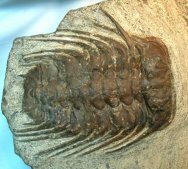 While there are several repairs to the matrix, this association is NOT a composite, with most of the original trilobite exoskeletons intact. 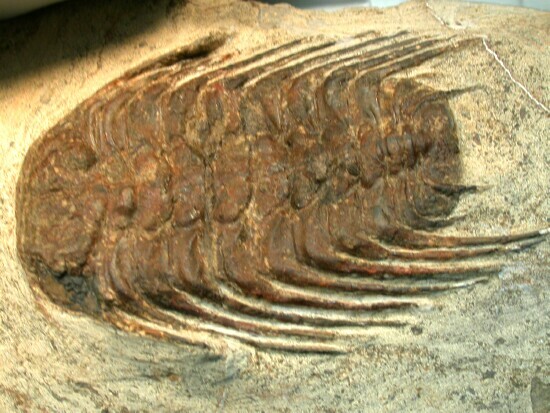 A substantial amount of prep time goes into a such a dramatic specimen.